Garlic is an herb that is a part of every Indian kitchen. It is one of the herbs that are widely used as spices worldwide. Since centuries people are using garlic to enhance taste of their food. In spite of making our food delicious it serves a major role in maintaining our health. Garlic is derived from a Greek word “garleac” that means spear leek. References of garlic are found in ancient texts and mythological stories. Egyptians used to worship garlic by placing them on the tombs of their ancestors. They thought that garlic would save them from evil spirits and vampires. It would be surprising for you that Americans were unaware of this herb till the beginning of last century. In 1940 they came across the benefits of garlic and then included it in their diet and also used it for therapeutic purposes. Garlic is a wonderful herb that is very effective in treating various disorders and helps in improving the performance of the body. Garlic is supposed to possess various chemical agents and minerals that provide it with the properties it possess. How ginger can maintain my health? 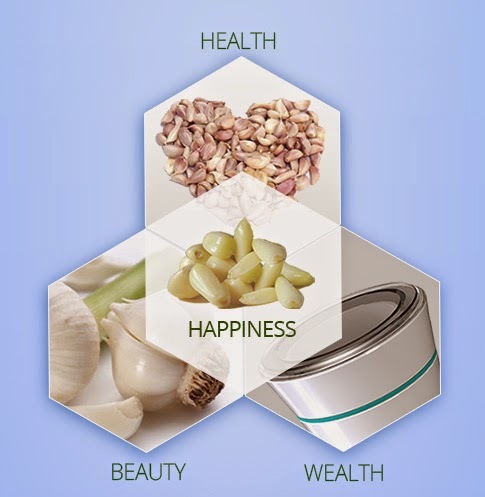 • Garlic is widely used by ayurvedic doctors in India and is used since centuries. Ginger has the wonder properties to prevent heart related problems. These problems includes arthrosclerosis, higher degrees of cholesterol, high blood pressure and strengthen the bodies immunity. • Garlic is very helpful in suppressing the abnormal growth of the cells that leads to the formation of cancer. This property of cancer fighting activity is due to presence of diallyl sulphide. Dially sulphide is believed to possess anti cancerous properties. • Recent studies have shown that garlic has the tendency to fight against the common cold. Reason fir this can be given that as garlic is of hot potency, it is very helpful in suppressing the causative agent that causes common cold. • Garlic is also said to be helpful in diabetic conditions. It is said to regulate normal sugar levels of the blood in the body. Prolonged usage of garlic has shown miraculous results in treating diabetes.